Cemetery Insurance Colorado. It may not seem like a place that is as somber as a cemetery would be at risk of legal issues, but the truth is, they are. 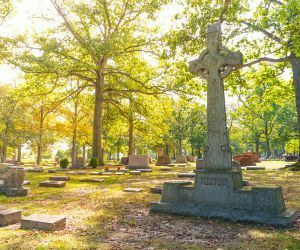 There are several unique challenges and risks that the owner of a cemetery can face, and these challenges and risks have the potential to cause serious financial and professional harm. As a CO cemetery owner, your top priority is to make the people you work with feel comforted during their darkest hours and as they visit your property to pay respects to their loved ones. However, a single injury on your site or an incident that involves providing poor service can do serious damage to your reputation and your business. Furthermore, your property is susceptible to things like vandalism, fires, floods, and even theft - just like any other business. 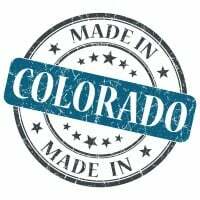 In order to safeguard yourself and your business from the potential travesties that can arise, having the right cemetery insurance Colorado coverage is vital. From property to liability coverage, find out what type of insurance protection you need. Cemetery insurance Colorado protects your business from lawsuits with rates as low as $57/mo. Get a fast quote and your certificate of insurance now. CO cemeteries are their own unique businesses, and owners of these businesses can face several legal risks. That's why it's important to make sure you are properly protected with the right type of insurance coverage. Request a free Cemetery Insurance Colorado quote in Akron, Alamosa, Arvada, Aspen, Ault, Aurora, Avon, Basalt, Bayfield, Bennett, Berthoud, Boulder, Breckenridge, Brighton, Broomfield, Brush, Buena Vista, Burlington, Carbondale, Castle Pines North, Castle Rock, Cañon City, Cedaredge, Centennial, Center, Cherry Hills Village, Colorado Springs, Columbine Valley, Commerce City, Cortez, Craig, Crested Butte, Cripple Creek, Dacono, Del Norte, Delta, Denver, Durango, Eagle, Eaton, Edgewater, Elizabeth, Englewood, Erie, Estes Park, Evans, Federal Heights, Firestone, Florence, Fort Collins, Fort Lupton, Fort Morgan, Fountain, Fowler, Fraser, Frederick, Frisco, Fruita, Georgetown, Gilcrest, Glendale, Glenwood Springs, Golden, Granby, Grand Junction, Greeley, Greenwood Village, Gunnison, Gypsum, Hayden, Holyoke, Hudson, Idaho Springs, Johnstown, Julesburg, Keenesburg, Kersey, Kremmling, La Junta, La Salle, Lafayette, Lakewood, Lamar, Las Animas, Leadville, Limon, Littleton, Lochbuie, Lone Tree, Longmont, Louisville, Loveland, Lyons, Mancos, Manitou Springs, Mead, Meeker, Milliken, Minturn, Monte Vista, Montrose, Monument, Mountain Village, Nederland, New Castle, Northglenn, Olathe, Orchard City, Ordway, Ouray, Pagosa Springs, Palisade, Palmer Lake, Paonia, Parachute, Parker, Platteville, Pueblo, Rangely, Rifle, Rocky Ford, Salida, Severance, Sheridan, Silt, Silverthorne, Snowmass Village, Springfield, Steamboat Springs, Sterling, Superior, Telluride, Thornton, Trinidad, Vail, Walsenburg, Wellington, Westminster, Wheat Ridge, Windsor, Woodland Park, Wray, Yuma and all other cities in CO - The Centennial State.